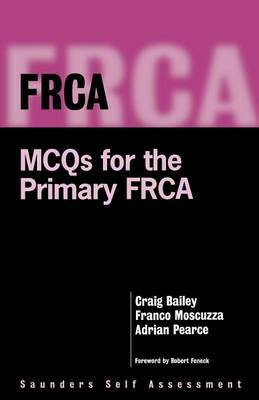 This is a book of MCQs for the primary exam of the Royal College of Anaesthetists. The examination for the fellowship of the Royal College or Anaesthetists has recently been revised. This book will be among the first self-testing books aimed at the new examinations such as the European Diploma of Anaesthesiology.One of the first books designed for the new examination. Each question accompanied by a concise answer, enabling the candidate to build up a sound knowledge base.Key reference for further reading. Divided into four papers.